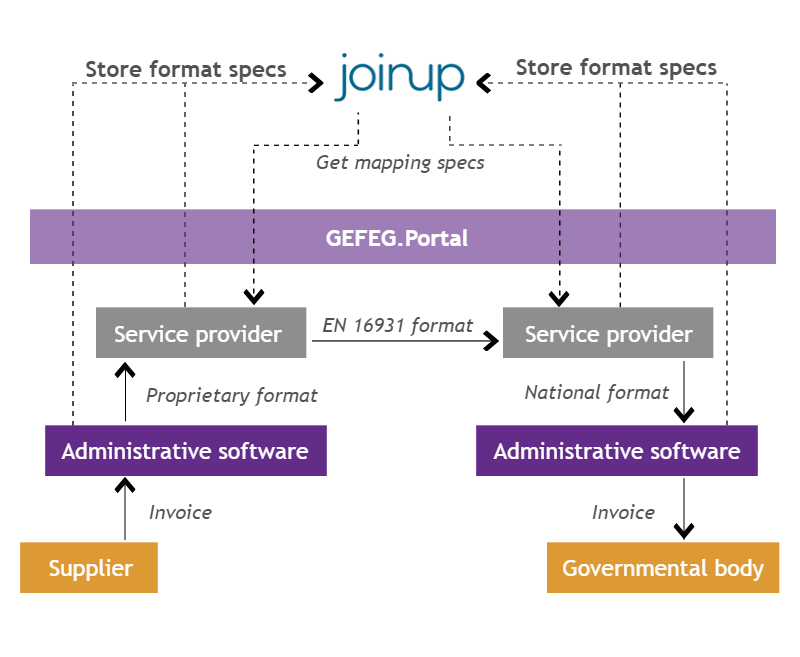 SCOBDO lets owners of e-invoice formats store the semantics and technical specifications of formats, versions and extensions in a repository as illustrated in the figure below. SCOBDO will make online tools available for this purpose. Also, providers of standard ERP and administrative software may store the (proprietary) interface definitions of their software into the repository. Service providers (and larger users) may create mappings as XSLT files using SCOBDO provided services and import them in their software.